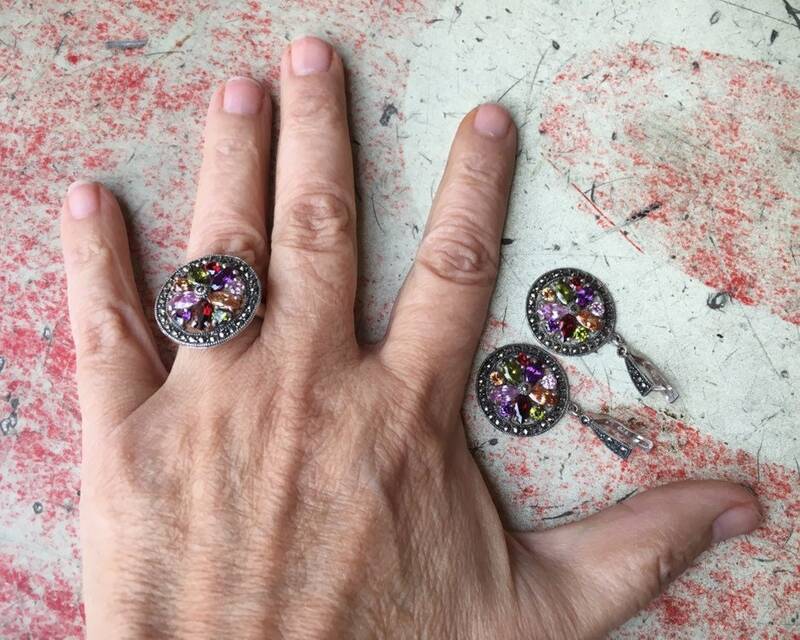 This vintage ring and earring set sparkles both on account of the many different colored crystals as well as the marcasite frame around them. 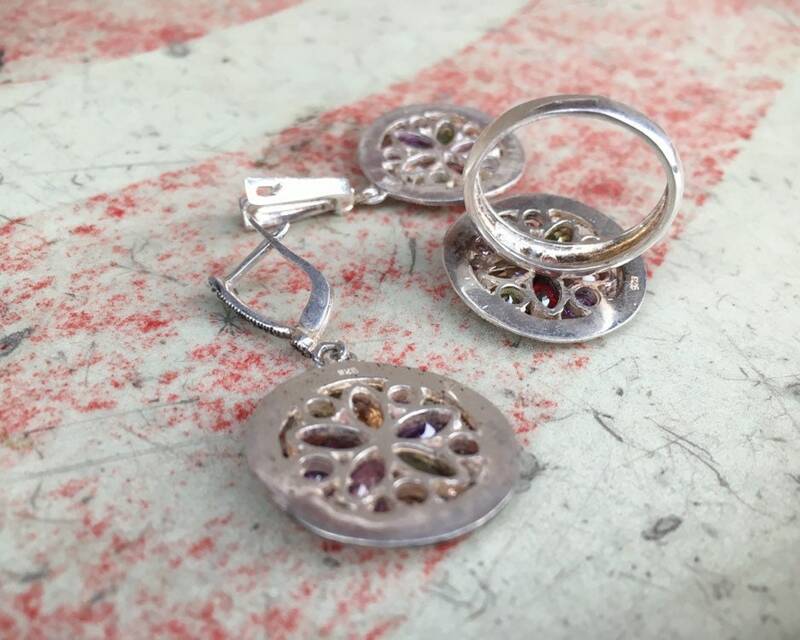 We have a pair of round earrings and a round ring to match. 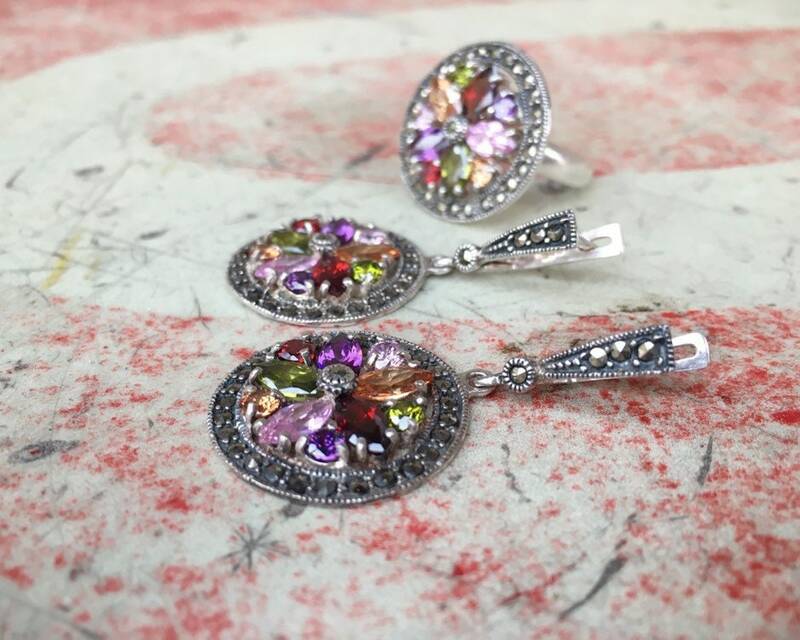 The crystals are many and include peridot and amethyst and others of reds, peach, and pink. 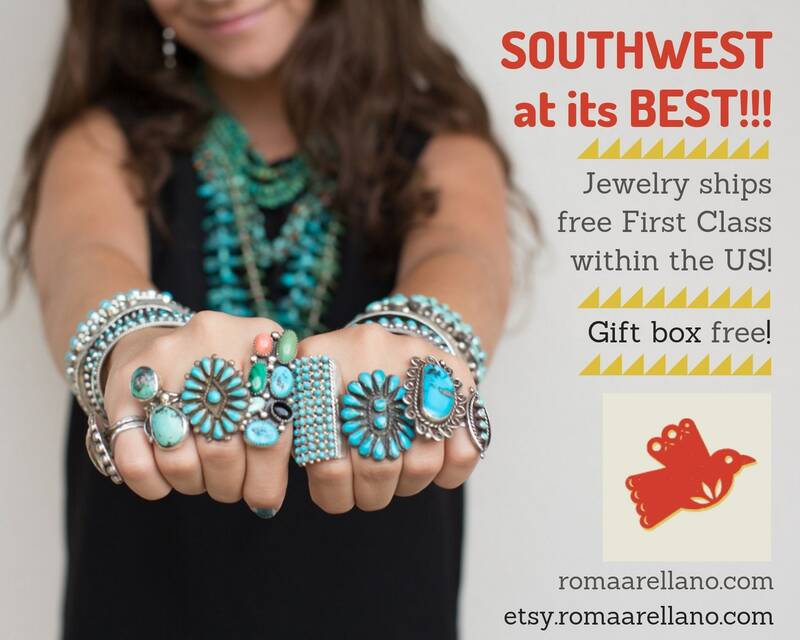 A great gemstone anniversary gift, perfect for the person who loves many colors. The ring face measures just under 1" in diameter and is Size 8/5. 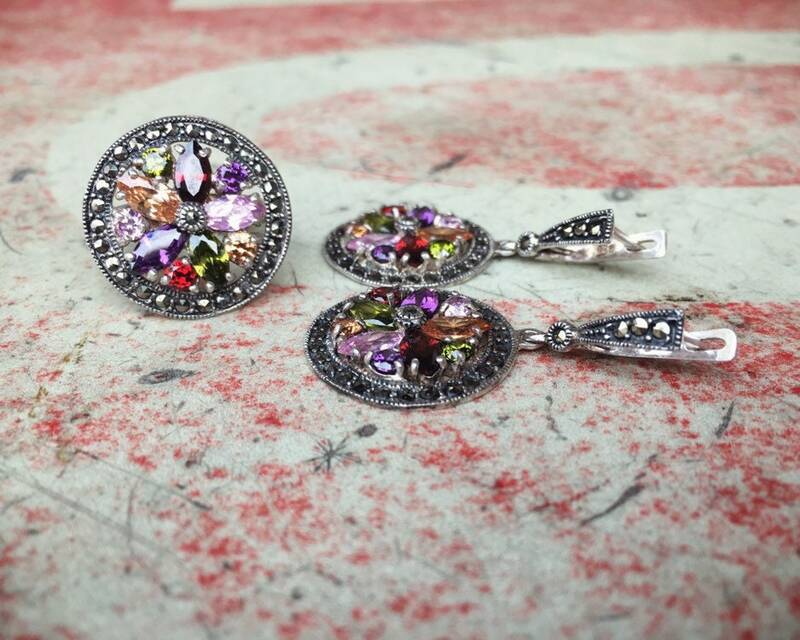 The earrings are about 3/4" around and dangle to 1-3/4". The earrings lock in my pushing down in the opening. No chain is included for the pendant. 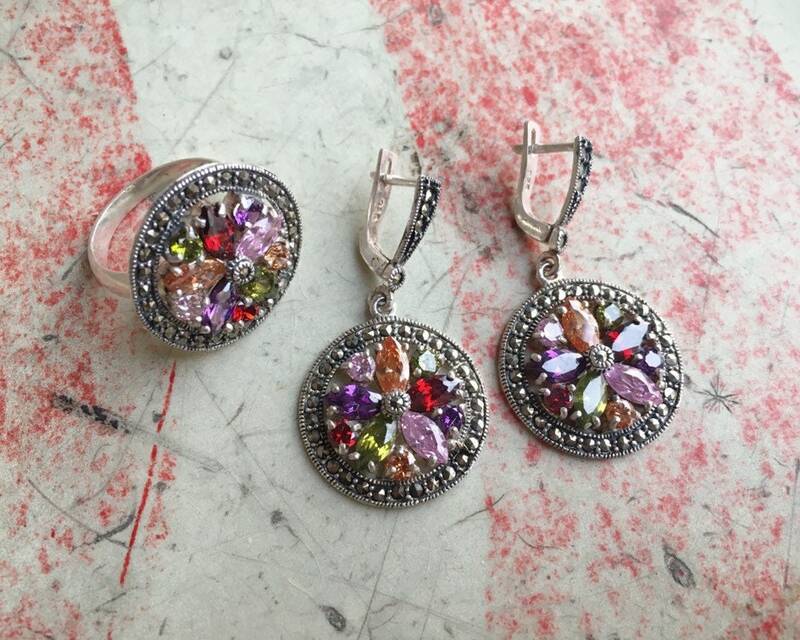 Sparkly rainbow for your hand and ears.